Because we’ve somehow gotten to a place where we can no longer answer the phone without knowing exactly who is calling and why, Facebook is rolling out a new app, dubbed “Hello,” that effectively uses all the info Facebook has about its users to help you decide whether to answer/ignore/block incoming calls. According to Facebook’s David Marcus, the app would be used in place of your phone’s current phone dialing and answering functionality. If a Facebook user calls you, you’ll apparently see whatever info Facebook has on that person. So you can see that 8-year-old photo (or photo of their kids) that they keep as their profile image, and info like where they work and their birthday. When your mopey best friend calls to complain about everyone forgetting his birthday, you’ll know to answer with “Happy birthday old chum!” or something like that. 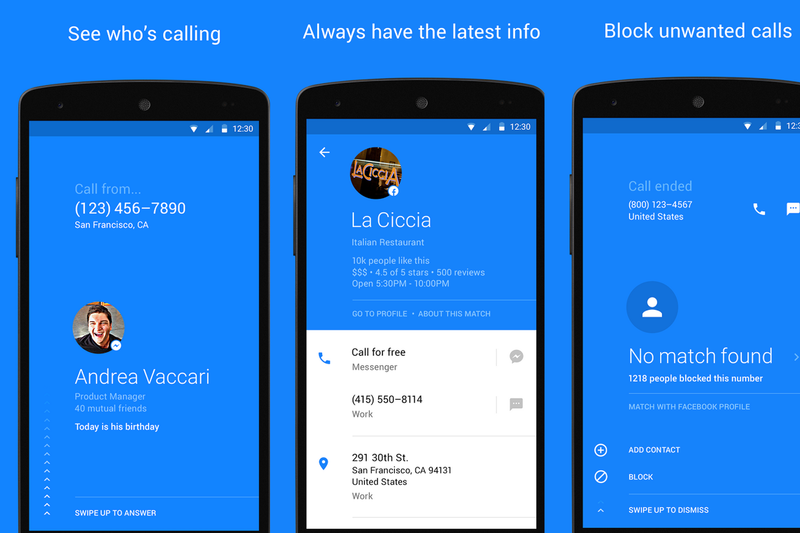 Hello will also let you block certain callers and give you the ability to ignore frequently blocked numbers. As you can see from the screengrab above, when an unknown caller contacts you, it will tell you how many others have blocked this particular number. The question is: How much more information do you want to share with Facebook? The company already tracks your browsing habits, your shopping preferences, what you like and don’t like. You may be reluctant to also let it know who you’re calling, for how long and how frequently.